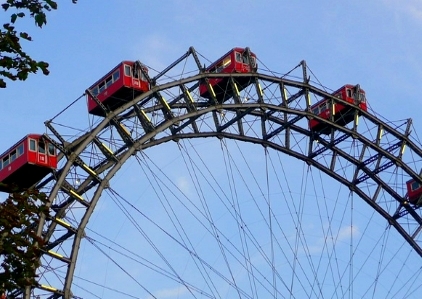 Welcome to our online travel guide to the city of Vienna. On this website you will find general information about the city of Vienna for tourists. It also describes important sights. 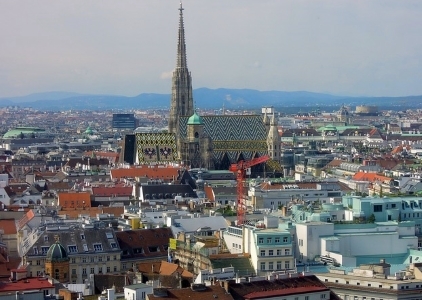 With almost 2 million inhabitants, Vienna is by far the largest city in Austria. More than one in five Austrians lives in the capital of the Alpine republic. It is the only real metropolis of the country, the second largest city of Austria Graz has less than 300,000 inhabitants. Vienna attracts many tourists. The city ranks among the TOP 10 most popular cities in Europe. There are many interesting sights in Vienna. The majority can be found in the historical centre of the city. These include, for example, the Hofburg, St. Stephen’s Cathedral, the State Opera, the Hotel Sacher, the Burgtheater and several museums. A little further away from the city centre, Schoenbrunn Palace, the Vienna Zoo and the Prater amusement park with many sights are visited by many city tourists. Also popular are the long Danube islands and excursions on the Danube, such as day trips to the nearby Slovak capital Bratislava. As a visitor of Vienna you should also visit the central food market Naschmarkt Vienna. Other tourists come to the metropolis on the Danube for its interesting cuisine, famous coffee houses or nightlife. 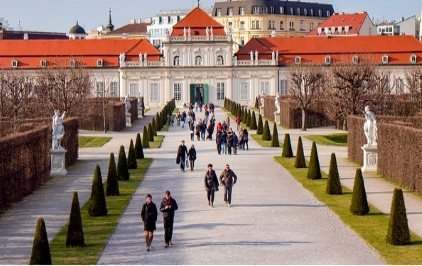 Those interested in culture come to the capital of Austria because of the opera and some grandiose art museums. The local traffic in Vienna is excellently developed and inexpensive. There are accommodations in Vienna in all price ranges, from a bed in a dormitory in a hostel to several 5-star hotels. This website is not finished yet. In the next weeks and months many new infos about Vienna will be added. Start of the website was in December 2018. Many pages of this webpage are older, because they are translations from older german articles. Tip: Our Berlin Guide, similar to this website.